Our world has become more instrumented, interconnected and intelligent. In this new environment, where storage requirements are doubling every one to two years, smarter midsize companies strive to store, archive and retrieve information efficiently, while driving down IT costs. You need to protect and secure the information, meet compliance requirements and make your information available when you need it. 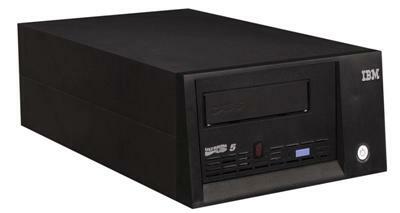 The TS2350 Tape Drive is suited for handling backup, save and restore, and archival data storage needs with higher capacity and higher data transfer rate than previous generation. In addition, the IBM Ultrium 5 technology is designed to support media partitioning, and the new IBM Long Term File System technology. It also continues to support encryption of data and WORM media. The IBM® System Storage™ TS2350 Tape Drive Express—part of the entry-level IBM System Storage tape product family—supports these needs by leveraging the newest generation of Linear Tape-Open™ ( LTO) technology to help cost-effectively handle growing storage requirements. Helps reduce cartridge fill and rewind times.